Billionaire investor Warren Buffett has published a shareholder letter every year since 1977 discussing everything from the Berkshire Hathaway’s latest acquisitions to timeless economic lessons for the average investor. While the Oracle of Omaha is a perennial fan of the United States, the letters do contain important advice for all kinds of investors — including international investors that may be looking outside of the U.S. for opportunities. 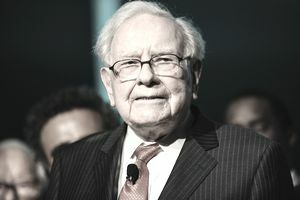 In this article, we will look at some investing advice given in Buffett’s most recent letter to shareholders and how international investors can use the advice to improve their performance. The Dow Jones Industrial Average rose from 66 to 11,497 throughout the 20th century, which represents a 17,320 percent capital gain that was further boosted by steadily increasing dividends. Warren Buffett believes that American businesses — and their stock — is ‘virtually certain’ to be worth far more in the years ahead due to innovation, productivity gains, entrepreneurial spirit, and an abundance of capital despite any forecasts from ‘gloomy’ media pundits. During scary economic downturns, Buffett urges investors to remember that widespread fear serves up bargain purchases and personal fear should be the enemy. He summarizes his sentiments by noting that ‘investors who avoid high and unnecessary costs and simply sit for an extended period with a collection of large, conservatively-financed American businesses will ‘almost certainly do well’ when it comes to generating investment returns. Warren Buffett argued in a 2005 shareholder letter that active investment management professionals — in aggregate — would underperform the returns achieved by rank amateurs that simply sat still over a period of years. In fact, he wagered $500,000 that no investment pro could select a set of at least five hedge funds that would over an extended period match the performance of an unmanaged S&P 500 index fund charging only token fees. Buffett praised Vanguard founder Jack Bogle as a crusader for the individual investor and a pioneer in developing low-cost funds. International investors may want to check out Vanguard’s suite of internationally-focused exchange-traded funds (ETFs) or mutual funds as an alternative to higher priced international funds. In addition, it may be worth exploring international asset classes that offer cheaper exposure than niche funds. Warren Buffett notes that every decade or so dark clouds fill the economic skies and they briefly ‘rain gold’. During those times, he believes it’s imperative to rush outdoors ‘carrying washtubs, not teaspoons’ to capitalize on the bargain prices. These events have included the 2008 financial crisis, dot-com bubble, and others that led to panic selling across the entire stock market and opportunities to acquire companies at a significant discount. There are many financial crises unfolding around the world, such as the emerging European Union crisis spurred on by the pending departure of the United Kingdom from the common economic area. International investors should pay close attention to these events to identify bargain opportunities where investors may be irrationally selling stock out of fear without looking at the true fundamentals of the businesses. Warren Buffett has repeatedly indicated that Berkshire Hathaway’s businesses are only successful because of their high-quality managers running disciplined operations and hard-to-replicate business models. For example, GEICO’s Tony Nicely joined the company at 18-years-old and completed 55 years of service in 2016 by developing a huge cost advantage that it continues to enjoy over the giants of the industry. International investors that choose to invest in individual equities should look for high-quality management teams, compelling business models, and a decent price. Often times, this means digging into not only financial statements but conference call transcripts and other elements that provide insights into a manager’s abilities and plans for the future. Taking these steps can help avoid problems and overpaying for underperforming stocks. Warren Buffett’s annual shareholder letters are required reading for any serious investor for both its timely economic insights and timeless advice. While Buffett is a perennial fan of the United States, international investors can glean a lot of insights from his timeless investment advice. Investors that heed this advice could increase their risk-adjusted returns over time by avoiding costly mistakes and taking advantage of bargain opportunities.